Length: 2 Hrs, 25 Mins. 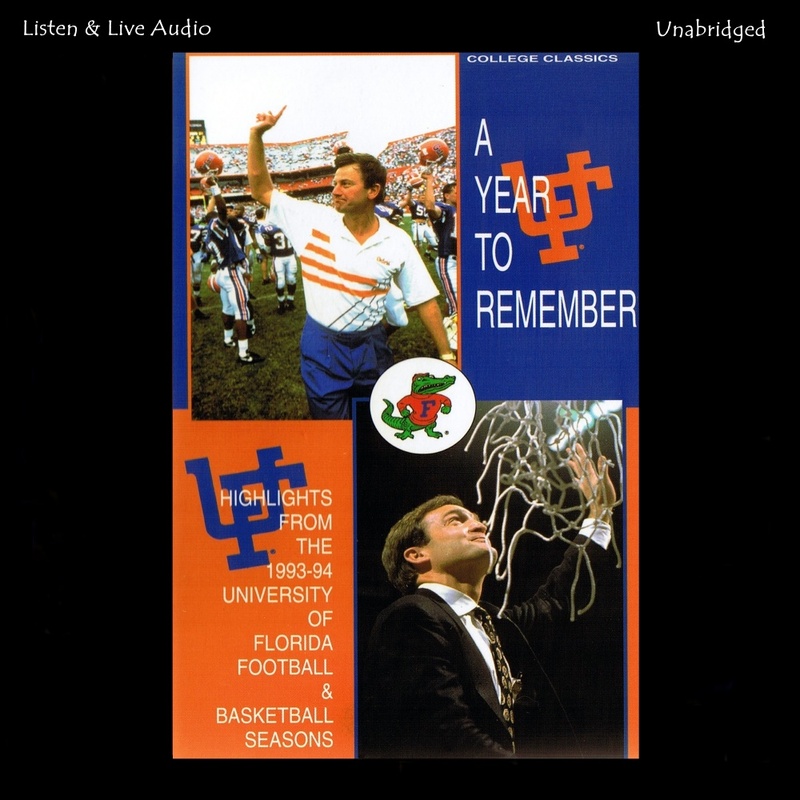 Join Mick Hubert, Voice of the Gators, as he relives, through radio high-lights, the 1993-94 Gator football and basketball seasons -- a year which saw the University of Florida climb to the top of collegiate athletic programs! Capturing a second consecutive SEC Eastern Division title, the Florida Gators avenged a loss to Alabama the year before by beating the Crimson Tide in the SEC Championship game and earning a berth in the Sugar Bowl. Along the way, the Gator scored more points, totaled more yards and passed for more touchdowns than any team in conference history. Against undefeated West Virginia, the Gators rolled to a 41-7 Sugar Bowl win, for a school-record eleventh victory and a #5 ranking in the final AP poll. The Florida basketball team began the 1993-94 season largely unheralded, but shocking critics and fans alike, marched to victory after victory leaving in their wake major powers Kentucky, Texas and Oklahoma State. On their way to a school-record 29 victories, the Gators become SEC Eastern Divisions CO-Champions, SEC Tournament Runner-ups and ranked #14 in the final AP poll. Seeded a #3 in the NCAA Tournament, Florida defeated James Madison and Pennsylvania, stunned UConn and rallied against Boston College to capture the East Regional Title. They had, in fact, "Found A Way" to the Final Four. It was A Year To Remember!